The Apex Angler Qwest is a hard-core fishing machine—one of the few pontoon boats around that can make such a claim. 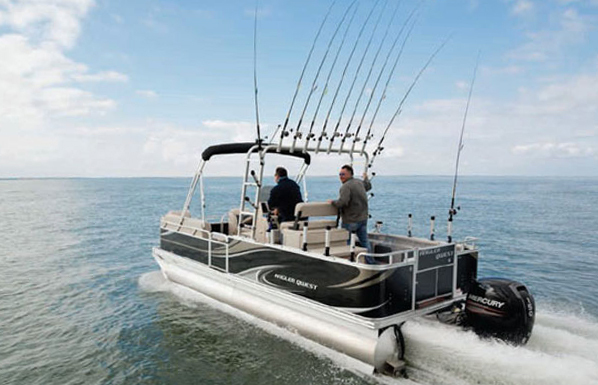 We’ve seen a slew of new pontoon boats hitting the water recently, and this most certainly includes fishing pontoons, which we examined in detail in the article Can a Pontoon Boat Be a Serious Fishing Boat? 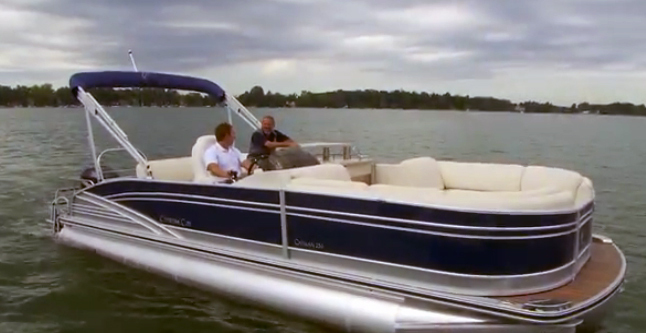 Besides fishing boats, pontoons designed for a purpose include watersports boats, cruising pontoons, and even speedy lake-rockets (watch our High Performance Pontoons video). Is there any chance someone will mistake the Apex Angler Qwest for anything other than a dedicated fish boat? We think not. The vast majority of these specialty pontoons are standard-fare designs, with a rod holder added here or a towing arch added there. It’s rare to find a model designed and built from the ground up for a single, specific, dedicated purpose. The Apex Angler Qwest is one such boat—you can tell at a glance that this thing was born to fish, period. The Angler Qwest comes in four basic flavors: the Fish, Pro Fish, Troll and Pro Troll. As you might guess, stepping up to the Pro models increases price (which starts at around $25,000 excluding power) and gets you a number of additional accessories. You can also choose between 18’ and 20’ lengths for the Fish models, and 20’, 22’, and 24’ lengths for the Troll models. So as is usually the case with pontoon boats, you can do plenty of customization. But these platforms all share one thing in common: they’re designed around a real-life, honest-to-goodness center console. Not only is the console fiberglass, it's built with real fishing know-how. Note the space for flush-mount electronics, and the forward livewell seat. 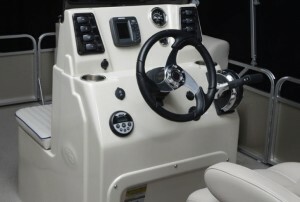 The console is molded fiberglass, and we don’t mean to say that it’s merely dropped into the center of a pontoon boat layout; instead, items like livewells, rod holders, leaning posts, fishing chairs, tackle stowage stations, and coolers follow a true center console fishing boat pattern. 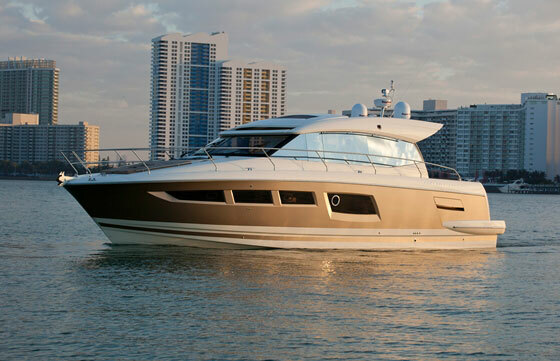 In fact, if you’re looking for standard pontoon boat fare like plush lounge seating for a dozen people, wet bars, and ski lockers, you’d better look elsewhere—this is one of very few in the pontoon world that eliminates all that stuff. One exception: in a nod to the fact that most trolling action takes place aft of the center console, and that many families have a member or two who would rather lounge on a settee than lunge for a bent rod, the Troll models do have a pair of lounges flanking each side of the bow. Go for the 24’ Pro Troll model, and a pair of swiveling fishing seats are added forward of those lounges, reclaiming some fishability. I saw an Angler Qwest for the first time at the Miami Boat Show, where one was entered in the NMMA Innovations Awards contest. Along with the other seven judges, I found it a one-of-a-kind boat, and even though there was only one other angler on the panel, all of us were struck by the level of innovation and single-minded purpose in this boat. From the radar arch with 14 rod holders to the rear fishing station with its 22 gallon livewell, tackle trays, and pliers/knife holders, to the six tackle stowage boxes built into the leaning post, it was clear that in an appropriate waterway, the Angler Qwest could rival any deep-V fiberglass fishing machine of its size. And yes, the Angler Qwest 820 did win the award for Best New Pontoon Boat. Of course, fish boats tend to get abused a bit more than entertainment platforms. Hooks and weights swing and snag, fish blood splatters, and die-hards don’t necessarily run for the barn when the weather turns sour. So a fishboat needs to be constructed a bit tougher than the norm. The diamond-plate aluminum fencing, vinyl decking, aluminum arch, polyboard tackle drawers, and aluminum aft fishing station are all high points. Apex uses .08” or .09” thick aluminum pontoons (depending on length), with 23” diameters. 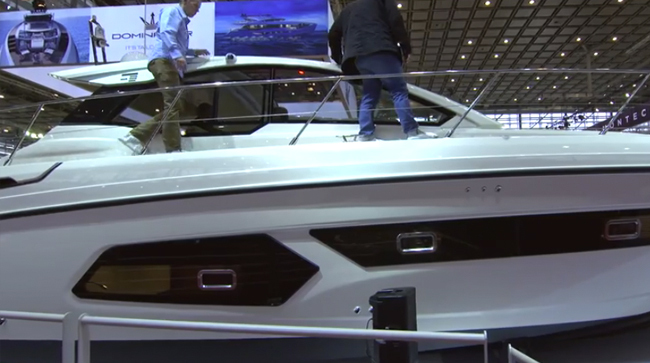 That’s about average in the pontoon world, though some high-end builders go to 25” diameter tubes. The plywood beneath the vinyl deck isn’t my favorite boat-building material in the world, but it’s almost impossible to find a pontoon boat without it and truth be told, these almost always last a decade or more. 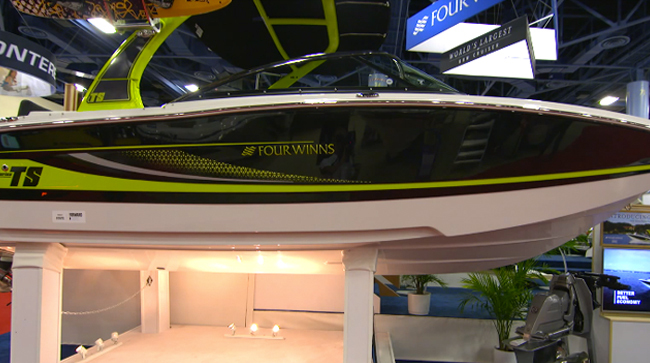 One other gripe: I’m not thrilled by the forward console livewell design, because the top is just a flip-down seat. It has a gasket, but I wouldn’t plan on sitting up there while running through any kind of waves with the livewell more than half-full, unless you want your legs getting wet. Cross-channels are 1/8” thick extruded 6063 T6 aluminum, set on 24” centers. Wiring harnesses have water-tight Deutsch connectors. Gate hinges are full-length. And don’t forget, that console is fiberglass. The bottom line? Swing those weights, snag those hooks, splatter that fish blood, and take a pounding on the way home—the boat can handle it. And Apex backs the major components (tubes and structural parts) with a limited lifetime warranty. There was once a time when serious anglers who wanted a pontoon boat platform were handicapped by half-hearted efforts and half-measure designs. With the Apex Angler Qwest, those times are behind us. 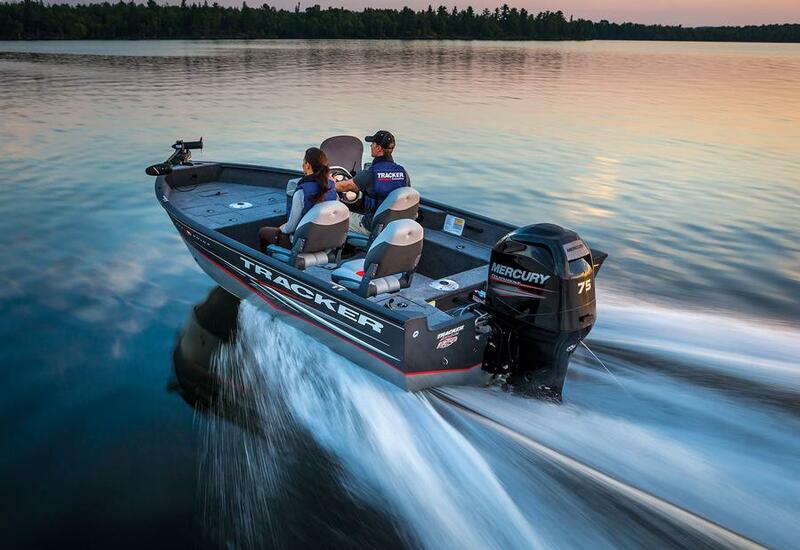 Other Choices: A few other fishing-friendly pontoons are the Sun Tracker Fishin Barge 22 and the Premier 221 Cast-a-Way (which was named one of our 10 Top Pontoon Boat Favorites in 2013). But don’t expect either to take fishability to the same level as the Angler Qwest. For more information, visit Apex. See Apex Angler Qwest listings.